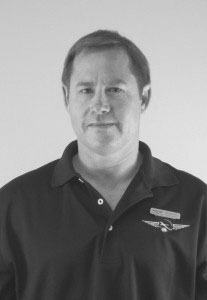 Steve joined the APS team in May 2001 as an Aerobatic and Air Combat Instructor Pilot. As a former AT-38 and F-16 Instructor Pilot, he shares his experience with the clients at APS performing Flight of Your Life and Air Combat flights. Spare is also a Captain at Southwest Airlines. He lives in Glendale, AZ with his family and is currently training his one-year-old grandson to become a pilot. In his free time, Spare enjoys scuba diving, jet skiing and traveling throughout the world. He also enjoys socializing with friends and trying out new happy hour locations.